The early bird registration deadline has passed. If you plan to attended the AHCA/NCAL Convention and Expo in San Diego, you can register and still get a great value. Advance Registration is now open through September 21. 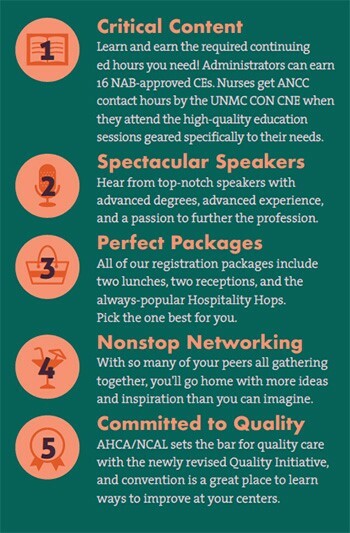 AHCA/NCAL realize you have choices to make and we wanted to offer these five compelling reasons on why you shouldn’t miss this opportunity! Learn more about all the speakers and education sessions, and start making your plans. There's something for everyone! We hope to see you in San Diego, October 7-10.